Senior Solutions referred home health caregivers provide light housekeeping such as changing bed linens and help with a load or two of laundry. Caregivers will also help with light dusting, trash removal, organizing and tidying rooms, closets and drawers, straightening up of kitchens and bathrooms. A tidy home is a happier, more comfortable home, and your caregiver is here to help! 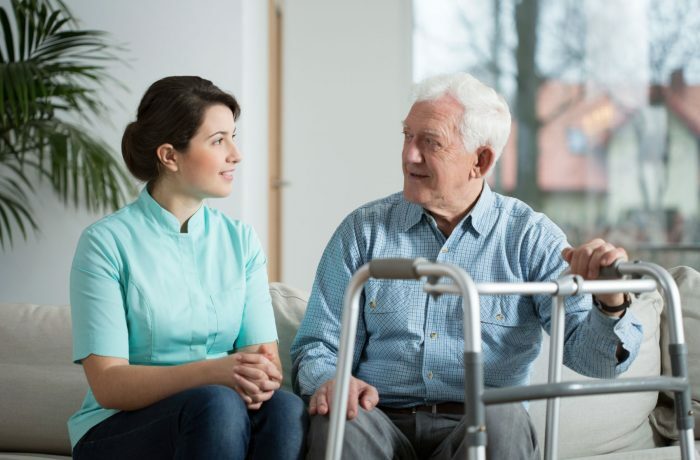 A caregiver’s care at home can save time and physical exertion—for people who have trouble with mobility, experience joint pain, or tire easily. Grocery shopping, prescriptions, or dry cleaning are common needs of those who want to maintain independence at home! Senior Solutions referred in home caregivers can provide these services directly, including shopping at specific stores for a client’s favorite or needed items. They can also provide incidental transportation for clients who would like to run errands and socialize, all while ensuring the client’s well-being.